Well, that didn’t take long. 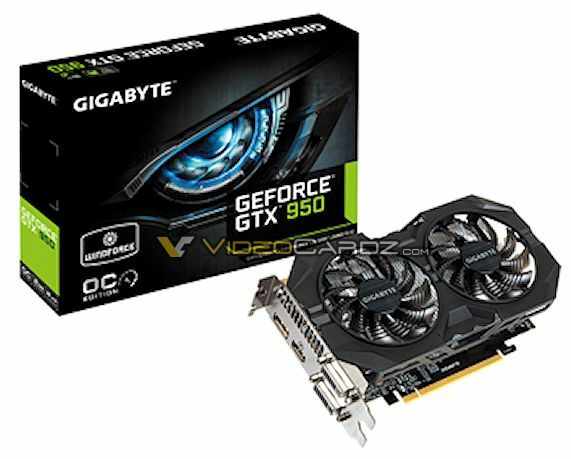 I have more details of GeForce GTX 950, and few more pictures. 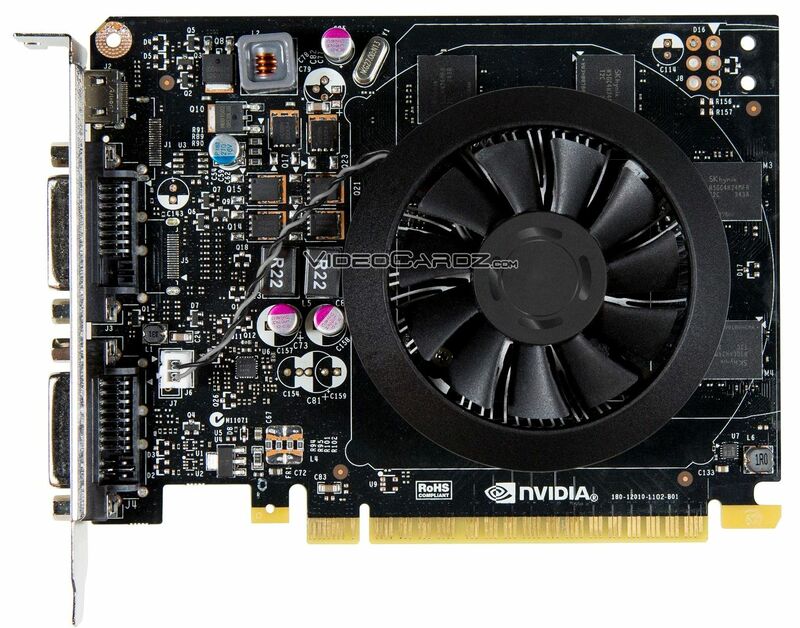 I can finally confirm that GTX 950 has 768 CUDA cores and 2GB GDDR5 memory across 128-bit interface. In terms of clocks, I can only tell you what datasheets are stating. 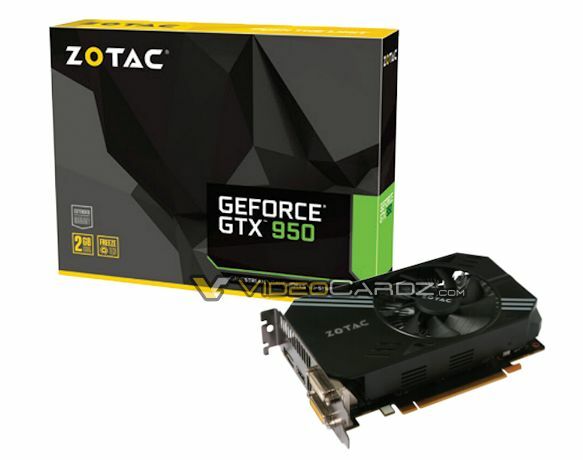 GeForce GTX 950 allegedly comes with a base clock of 1089 MHz and boost clock of 1266 MHz. What’s interesting, the memory clock is not 7 GHz, but 6.6 GHz (1652 MHz). 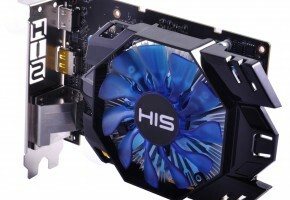 It means in comparison to GTX 960 the clock is 100 MHz slower. Of course that won’t be a problem for overclockers. Now, everyone was wondering what is the TDP of GTX 950. 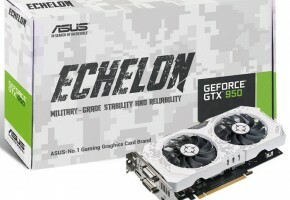 The card is powered through single 6-pin power connector and thermal design power is 90W. 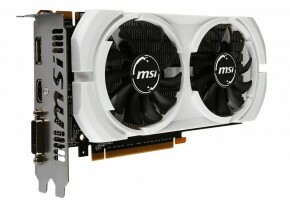 That’s 30W more than GTX 750 Ti, which this card is replacing, and 30W under GTX 960. 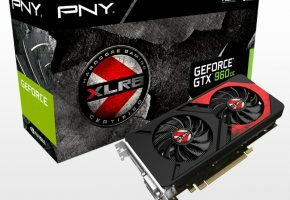 GeForce GTX 950 is shaping into more powerful HTPC solution, which as you might notice after seeing more pictures, will generally be offered in small form factor. 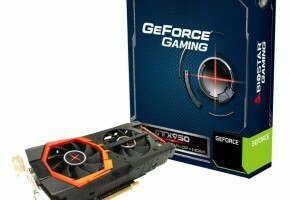 Here’s a comparison to GTX 960 and GTX 750 Ti. I decided to keep TBC label for now, till I see official documents. 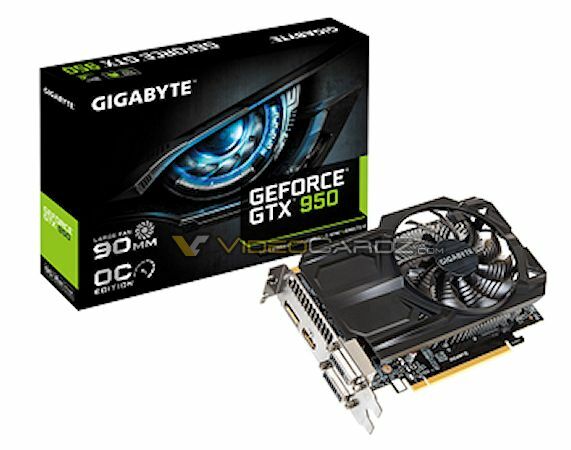 Gigabyte has two GTX 950 coming, one with WindForce 2X cooling solution, and the other with single 90mm fan configuration. 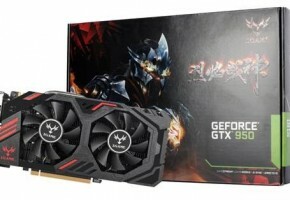 Both cards are factory-overclocked, but the exact specs remain unknown. Additionally, here’s the side of first card showing single 6-pin power connector. 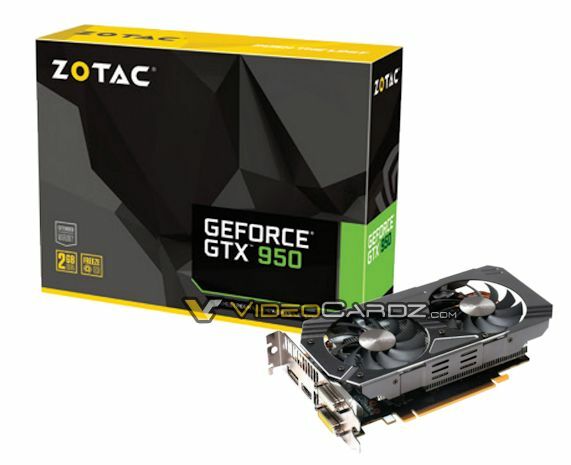 The card on the left is ZOTAC GeForce GTX 950 (ZT-90601-10L), which is clocked at reference speed. To the right we have GTX 950 OC (ZT-90602-10M), which is overclocked to 1102/1279 MHz. 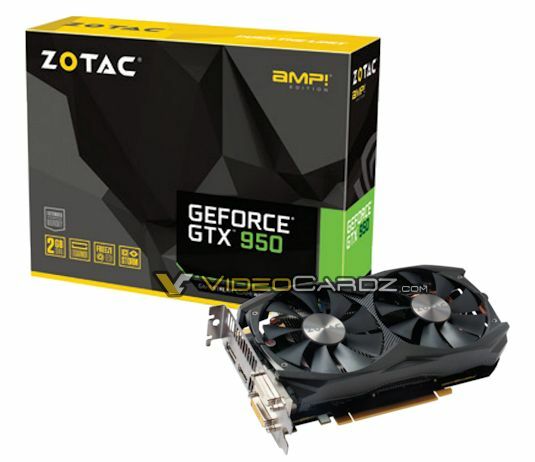 Last but not least here’s GTX 950 AMP! with clocks rated at 1203/1403 MHz, unlike the other two, this also has the memory clocked at 7 GHz. It also comes with a backplate.